If you have been involved in a car accident whiplash injuries need to be taken very seriously. Because symptoms of a whiplash injury can take weeks or even months to manifest, it is easy to be fooled into thinking that you are not as seriously injured as you really are. 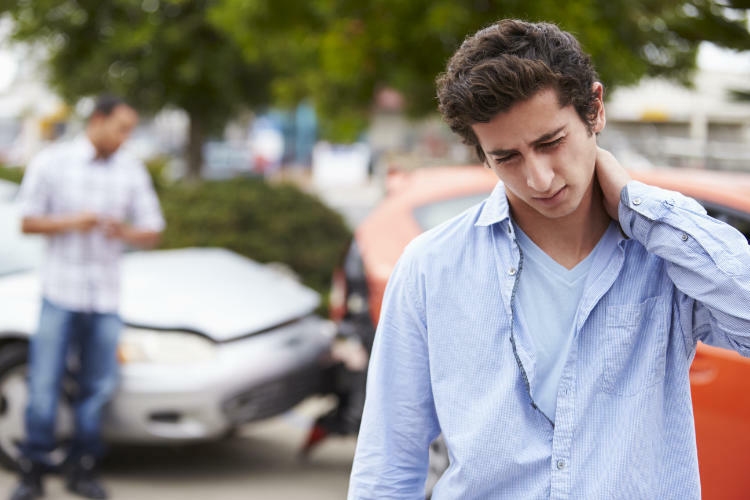 Symptoms from a car accident and whiplash can include anything from radiating pain into the shoulder, elbow pain, wrist pain or hand pain, lower back pain, headaches, jaw pain and more. Whether it was a little incident in the parking lot, or two cars attempting to occupy the same space in an intersection, you need people who know how to work with lawyers and insurance companies. We’ve been through this many times. If you’re current health situation is the result of an automobile accident within the last 2 years, your car insurance may likely pay for your care. Part of your first visit procedure will be to determine the specifics of your policy. No out of pocket expense! Our policy is to await payment from the responsible insurance company. Our goal is for each patient to pay absolutely nothing! We want to eliminate the financial barrier so the injured patient can focus on getting well instead of worrying about how they are going to pay for treatment. The cost of treatment is paid by insurance. The other driver didn’t have any insurance. How will my bills be paid? In that case, the uninsured motorist insurance on the vehicle you occupied would ultimately be responsible for your medical bills. If there is Med-Pay coverage on your vehicle, it would help pay for treatment as well. If I use my own auto med-pay coverage to pay for care, will my premiums go up? No. If you were not at fault your insurance company cannot, by law, raise your premiums. No. If you would like to see if we can help, give us a call and we will set up an appointment time for you. What is one of the biggest mistakes that injury victims make? Delayed treatment is a common mistake that injury victims make. Often times, it takes days or weeks for pain to appear after an accident. Only a chiropractor can tell if a chiropractor can help you. While pain pills and muscle relaxers may provide some relief, they only mask your pain. Soft tissue injuries are commonly seen in auto accidents. While they do not involve any broken bones, they do create a micro tearing of the muscles. This serious injury is commonly known as “whiplash” and immediate treatment is needed. How do you get a soft tissue injury? A strain/sprain soft tissue injury is caused when the affected body part, such as the cervical spine (neck) for example, is so forcefully and suddenly moved and over stretched. This causes a micro tearing of the muscles or ligaments and the tear is usually a partial incomplete tear. You may not fully realize the significance of your injury, and this is why it is so important to seek immediate, professional treatment. The emergency room said that I was OK. But when the pain pills ran out, the pain came back. What should I do? “No broken bones” does not mean “no injury”. Pain pills and muscle relaxers only cover the symptoms and do not fix the problem. At the scene of the accident, I told the police officer that I was OK, but the next morning I was in pain. What should I do? Many people are injured in accidents, but are unaware of their injuries for hours, even days. It can lead to chronic back and neck pain, headaches, dizziness, etc., that develop into premature spinal arthritis. We have seen too many injury victims settle their claim without being checked out by a professional chiropractic physician who deals with auto accident injuries. Call North Springfield Family Chiropractic for a Free Auto Accident Consultation at (417) 720-1250 today!